I am usually a person who appreciates some steak with my sizzle, who doesn’t fall for style over substance. However, a common thread amongst our lineup today is that it’s the actors and their performances that contribute to the success of these films, not necessarily the scripts themselves. As a writer I usually find that irksome. Too many movies these days have an unimaginative and flimsy story but attempt to attract an audience with explosions and special effects. Many others think that the masses will shell out their hard earned cash based solely upon the big name actors they’ve gotten to sell out and be part of their wretched production. Sadly this works all too often. But every once in awhile even I fall in love with a film where I can’t make head or tails out of the plot much less explain it yet I am beguiled by strong performances by actors going above and beyond their normal range of mediocrity. I liked school. I wouldn’t go so far as to call myself a nerd, but I did make good grades and actually attempted to learn stuff. For folks like me, there are always one or two teachers that rise to the top of the memory because of how well they did their job, how personable and helpful they were, and because they always went the extra mile to make sure being in their class was a positive experience. Goodbye Mr. Chips is a story about such an extraordinary educator. It is set in an English boarding school during the 1930’s, and flashes back over five decades telling the story of Professor Chipping, aka Chips. There is a touching love story woven into the narrative, as well as references to both world wars. But it is the man’s relationships with literally generations of boys, oftentimes from the same family, that is at the heart of the film. I remember catching this movie in college with a good friend of mine, although I can’t remember if we rented it or it just happened to be on a channel like American Movie Classics. I wish I could recall the exact circumstances, because either way it seems like it was an odd choice knowing our mindset at the time and my maturity level at that age. Whatever the details, I just know that it’s always stuck with me and 20 years later continues to be one of my favorites. 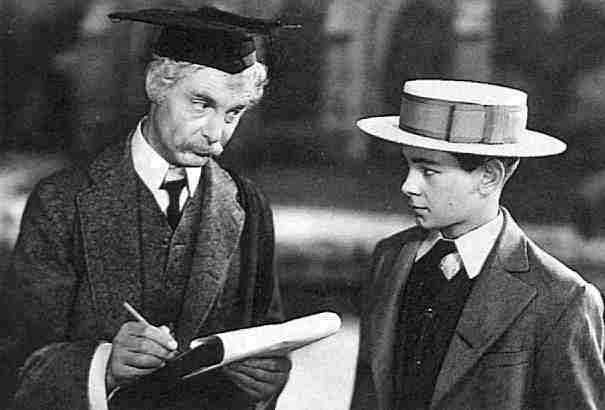 I would encourage anyone who runs across Goodbye Mr. Chips, whether it is in a video store or on some random TV channel on a lazy, rainy, movie watching sort of day to give it a whirl. You won’t be disappointed. On rare occasions…very rare…the plot of a movie takes a backseat to its performances. 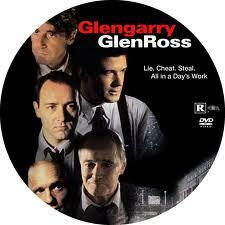 Glengarry Glen Ross is one of those singular cases. Any movie with the combined talents of Al Pacino, Kevin Spacey, Jack Lemon, Ed Harris, Alec Baldwin, and Alan Arkin has a head start before one scene is even filmed. When the movie is based on a David Mamet play that’s even better. For the record, the story is about a couple of days in the life of some real estate agents who have been told they need to sell some property or lose their jobs. I suppose a deep examination would yield a lot of mumbo jumbo about this movie being a commentary on the rat race, the pressures of success, and the moral yin and yang of how far some folks are willing to go to make a buck. I understand all that. But trust me, don’t ruin your enjoyment of Glengarry Glen Ross with paralysis by analysis. Just sit back and enjoy some of America’s finest actors at the top of their game hitting it out of the ballpark. Lemon should have been the runaway winner of the Best Supporting Actor Oscar. How he wasn’t nominated and the award was given to Gene Hackman (for Unforgiven) is something I will never understand. Pacino was nominated in the supporting category, but lost. However, that same year he won the Best Actor Oscar for Scent of a Woman, and no one can argue with that. I’ve said it a million times and I’ll say it a million more…Hitchcock was one twisted freak. Brilliant…..but nevertheless twisted. His films are an acquired taste and I have to admit I’m not a huge fan. Thrillers and old style “horror” just aren’t my cup o’ tea. However, ol’ Al did produce a few films that weren’t so palpably creepy but were more subtly, subversively strange. That’s a variety of freaky that can entice my sensibilities. North by Northwest is an ideal case in point. Cary Grant stars as a man who is the victim of mistaken identity. Some thugs think he is someone else and that he is in possession of an item they want. The details aren’t really important at all. The chase is the thing. North by Northwest is a thrill ride that takes us from New York City to Mount Rushmore and contains some of the most iconic scenes in movie history. I think I watched it on TV back in junior high thinking it was just one of those movies everyone needs to see. I’m not so much of a follower now and don’t really care what anyone else thinks most of the time, but I’m glad I was back then, otherwise I may have cheated myself out of a truly enjoyable “popcorn” experience and a film I enjoy to this day. Wow…talk about shifting gears. American Pie came along in the late 1990’s and earned its rightful place in the pantheon of great teen comedies alongside Porky’s, Fast Times At Ridgemont High, and Risky Business. This isn’t high art we’re talking about folks. But you know what? Funny is funny. I appreciate films that are well written, make me think, and have some sort of valuable lesson. On the other hand, sometimes it’s okay to just relax and have fun. I believe a huge part of the success of American Pie is that the characters are pretty realistic. We’ve all known horndog teens like these guys. Some of us have BEEN teenage horndogs like these guys. We laugh because we understand their point-of-view. And even if we’ve grown older and have taken on the inherent responsibilities of adulthood, part of us always hearkens back to those carefree school days. American Pie is fun without being senselessly offensive (for the most part), and on a certain level it is even a bit heartwarming and poignant. Much ado was made about the late Heath Ledger’s brilliantly over-the-top, splendidly manic performance as The Joker in The Dark Knight. And since it was his final role before his untimely death one can understand the commotion. But for me, when I reflect on Ledger’s all too short career, I instantly think of his role in The Patriot. Mel Gibson stars as a widower who just wants to raise his children and desires to stay out of the Revolutionary War. But tragic circumstances pull him into the conflict against his will. Gibson is outstanding in one of his most underappreciated roles, and Ledger was launched into instant stardom. Jason Isaacs (known to audiences now as Lucius Malfoy, malevolent foe of Harry Potter) makes a chilling villain, and restrained yet evocative supporting characters are played by Tom Wilkinson, Donal Logue, and a host of other unheralded performers. As I’ve mentioned previously in this series, I’m not usually a big war film kind of guy. However, I am a history buff so stories about The Revolution or The Civil War atleast get a look. Gibson’s choice of roles outside Braveheart and the Mad Max & Lethal Weapon series has been somewhat shaky (Air America, Man Without A Face, Maverick…all clunkers, and not ones that the government will give you money for), but he hit a home run with The Patriot.